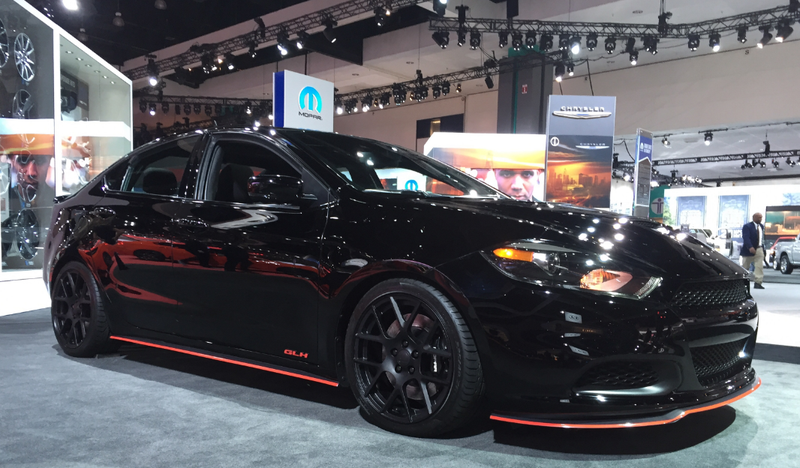 The Dodge Dart GLH pays homage to the Omni GLH from the 1980s with a little paint and some trim. But it’s missing the the most important ingredient: speed. Yup, the production Dodge Dart is a slow car. The engine that works so well in the Fiat 500 Abarth struggles to lug this hefty Compact U.S. Wide platform around. Even the 2.4-liter version isn’t exactly sprightly. So, it really wouldn’t make much sense to use it as the basis for a car whose name is an acronym for “Goes Like Hell,” right? Well, that’s exactly what FCA did. If you remember your mullet-totin’ days when you hooned your 1984 Omni GLH while listening to Billy Squier’s “The Stroke,” you probably remember that car being damn fast for its size. That’s because Chrysler and Carroll Shelby did some real, noticeable engine work to the stock Omni to get it to light up those front tires. You could get a 110 horsepower version or a 146 horsepower turbocharged four pot. Both were quick for their time not just in a straight line, but around corners, where the wider tires, better front discs and stiffer suspension helped them carve the twisties like champs. Fast forward thirty years and FCA’s trying to generate buzz with an appearance package on a ho-hum economy car. No performance goodies means no going like hell. The concept GLH, which debuted at SEMA, is sitting on the floor at the LA Auto Show. We nabbed a few pics for your viewing pleasure (or displeasure). It’s got a black paint job, a Mopar aluminum hood, some red interior accents, some badging and side skirts, a chin splitter, accents on the side sills, black alloy wheel and a rear fascia diffuser. Chrysler says the red accents on the lower body “provide an outline reminiscent of the original Omni GLH.” Umm, sure?